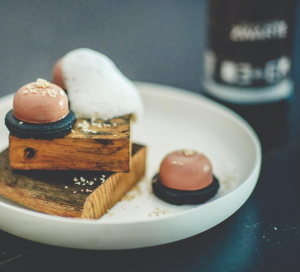 In this blogpost Hidde de Brabander elaborates on how he has created the masterpieces for his final examination to become Master Pastry Chef in 2018. We have a look within his mind, and see where he derives his inspiration from. “Designing dishes is the hardest part of the culinary job. Most of the time you’re copying the creations of previous chefs. In the eyes of plenty of people that is a shame and something you absolutely cannot do. I think that discussion is more delicate. Let me first say that I do not want to copy a complete dish or cake. That is something I don’t want to do… To me, one-by-one copying is a job we have machines for. Most of the times getting inspiration is still – in some way or another – copying a (small) detail from a previous creation. Sometimes it is a dish, but mostly elements and characteristics like shapes, perfumes or designs are the inspirational fundamentals. Getting your inspiration for a new dish is like making a puzzle with a thousand pieces; the main thing is focus. Focus on your inner self… Which is the hardest part, although everything is already inside of you. You have to focus on your own thoughts…and that in a time where we mainly focus on the opinion of other people, an opinion that you will never be able to satisfy. So please, give yourself a break and say on a regular base; F*ck you all! If you don’t give a sh!t about likes, followers or other shapes of opinions of the people around you, you might think now that you are going to be unhappy. In fact, all those needs are making you unhappy. It’s a never-ending story. If you get rid of that stupid bubble of “love” you’ll find the one and only ‘like’ you need; the one from yourself. Taking a passion to a next level requires motivation, focus and a lot of drive. 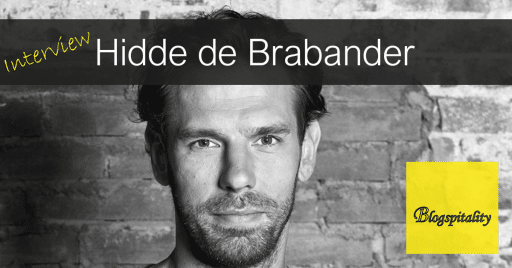 Hidde de Brabander was the first man in eight years in The Netherlands to achieve the title of Master Pastry Chef. His unlimited creativity and knowledge have led to him being able to create a masterpiece resulting in passing his final examination. His admiration for music, one of the sources he derives his inspiration from, made him able to create what he has made. Based on the album “Lateralus” by Tool, Hidde has taken the Fibonacci sequence to a whole new level. What did he do?! The music of this song is written on a mathematical formula called the Fibonacci sequence, which has formed the foundation of Hidde’s inspiration. The Fibonacci sequence is as follows: 1+1=2, 1+2=3, 2+3=5, 3+5=8, 5+8=13 and so on. The previous number is always the base for the next, resulting in an ever-increasing outward spiral. (If you would like to fully understand the Fibonacci sequence in the music, check this video.) Based on the numbers, Hidde chose certain amounts for the dishes he presented during his Master examination. The shape of the spiral is the leading and returning shape. Every decision was reasoned, and nothing was left to chance. Hidde has chosen the sequence since this is a metaphor for his career; the increasing numbers are affected by the numbers before, so every follow-up and every next step is arising from the previous one. Every single dish tells a story, which is exactly the reason this brilliant mind achieved his title. Next is indigo. The colouring for your jeans, but based on a root that can be found on Java, Indonesia. When the export of indigo was lucrative, coffee farmers were forced to grow indigo instead. This is where I made a link to coffee. I made a parfait of Javanese coffee, used in three variations; toasted, untoasted and from the outer skin of the coffee bean; cascara. The combination has also been found in a parfait, this time a milk chocolate one, made from Javanese cocoa beans. Last component was a sorbet of sour cherries, also with the outer skin of the coffee bean. The cake was glazed with an indigo colour.